Caldeco Air Conditioning & Heating is the hometown AC expert you can rely on for energy tips, products and services to keep your air conditioner cleaner and the air that you breathe fresher. The very nature of a central AC unit makes it possible for dust, pollen, mold spores and other particles to accumulate and spread throughout your home. Build-up of dust and other substances can reduce air flow causing health issues and AC unit inefficiency. Routine maintenance from Caldeco Air Conditioning & Heating is the best way to keep an air conditioner cleaner. Our NATE Certified maintenance technicians have the factory training and experience to provide the best AC Unit Precision Tune-up & Cleaning services. In fact, we guarantee that our tune-up is the best you’ve received or we won’t charge you. 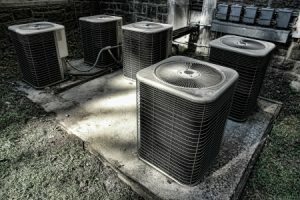 Tune-ups are thorough and include steps for checking and inspecting motors, thermostats, bearings, coils, electrical wiring and other components of a central AC unit. Also included is the thorough cleaning of the indoor and outdoor coils, and the removal of weeds and/or other items that can infiltrate outdoor AC condensers. Duct cleaning is another great service provided by Caldeco Air Conditioning & Heating that improves air quality related to duct work in homes and businesses. Residents and employers often find that health related issues such as allergies and respiratory problems and other nuisances like musty odors and dusty furniture often improve or disappear after we complete our duct cleaning services. Contact us today for more tips and information on steps you can take yourself to keep your air conditioner cleaner or to schedule an appointment. We proudly serve those in Tampa, Wesley Chapel, Brandon, Westchase, Clearwater and the surrounding regions.